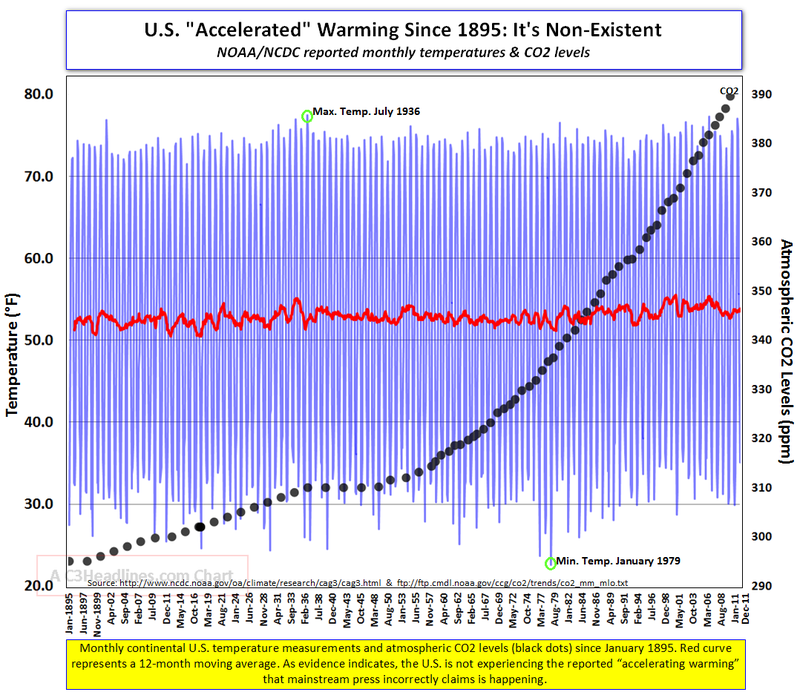 The question is whether CO2 is driving temperatures up. Burt Rutan started the discussion with this graph on Watts Up With That? post, Burt Rutan: ‘This says it all and says it clear’ | Watts Up With That? Chiefio liked a different graph from D. B. Stealey. It is a bit more dramatic. I was curious whether the analysis would hold up if we normalized the variables. So I copied the data into an Excel spreadsheet. 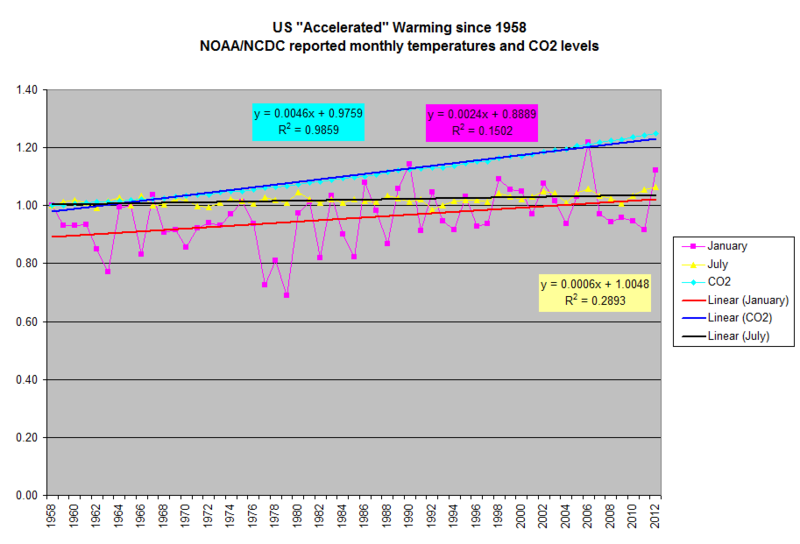 I was somewhat surprised to find that the NOAA CO2 data only goes back to 1958. I guess we are guessing at CO2 levels before 1958 so my inner engineer said to ignore them. Extrapolations are just assumptions with a fancier name. I also decided I would look at the temperature plots for January and July as approximate indicators of the highs and lows for the year. So I normalized the variables using 1958 as 1. It is interesting to note that the January data represented by the pink line has a greater slope(about 4x) and is a lot more variable than the July data represented by the yellow line. This is a lot more slope than be accounted for by normalizing to a with a smaller value. If we are supposed to be heating up because of CO2, the July data seems somewhat impervious to the 22.43% buildup in CO2 since 1958. Here is the bottom line. Using the predicted values from the regressions, we can say that CO2 went up 22.43% compared to a 3.72% rise in January temperature and a 1.85% rise in July temperature. It sure does not look like there is much correlation let alone causality between these variables. Here is a real strange thought. According to the slopes calculated for the January and July temperature plots, the difference between the high and the low for the year is getting smaller?! 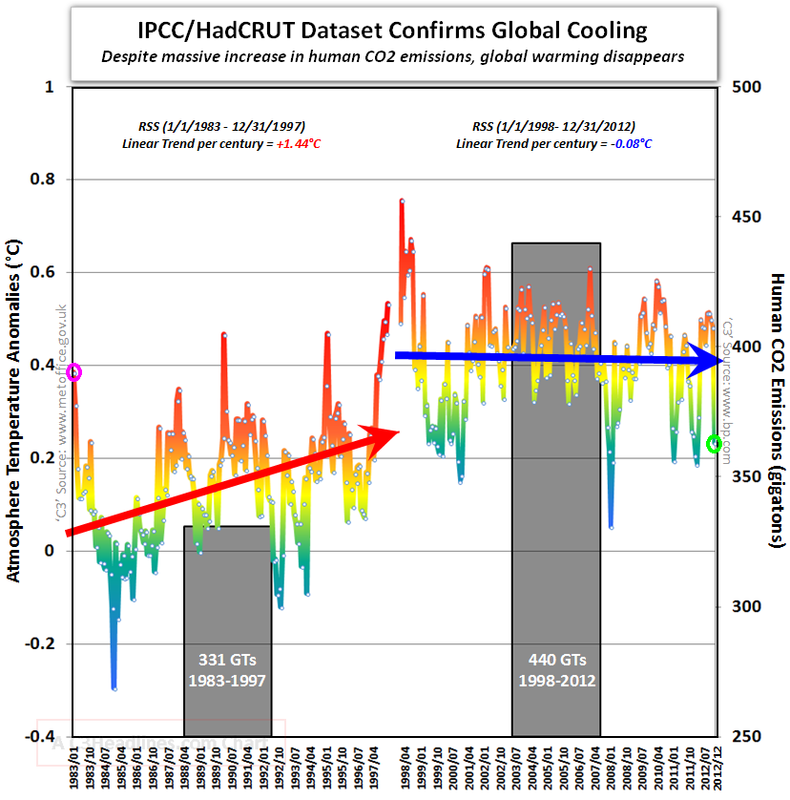 Could the additional CO2 be moderating the magnitude of the annual temperature swings? Now that is counter-intuitive. Without much ado here is my version.